I help reveal and release the full potential of my clients. Joan has been coaching for 30 years specializing in helping people realize their full potential through the use of research based assessments. She founded T.R.I Life LLC in 1999, and has conducted workshops and trainings all over the United States helping people increase self awareness, foster clear communication skills and develop conflict-resolution skills. Joan works with successful executive and senior leaders who are privately stressed by the daily demands they encounter. She helps improve leadership effectiveness and performance, encourages life balance and helps to build a more positive workplace culture. 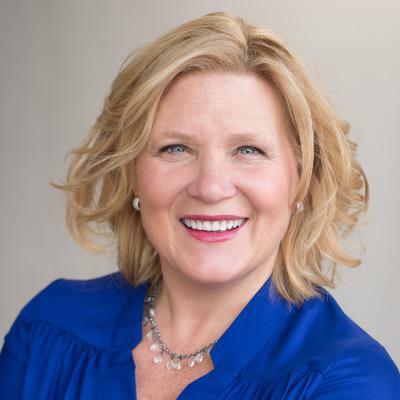 She uses both TTI Success Insights assessments and CliftonStrengths assessments together with her coaching expertise to accomplish these objectives. Joan has worked with numerous organizations including YWCA of Cleveland, Diabetes Partnership of Cleveland, Kichler Lighting, Key Bank, Huntington Bank, University Hospitals of Cleveland, American Greetings, Forest City Realty Trust, University of Toledo, Cleveland Public Schools, The Cleveland Orchestra and numerous individual executives, managers and their teams. Joan lives in beautiful Chagrin Falls, Ohio east of Cleveland Ohio with her best friend and husband Bob of 40 years. Bob and Joan train for an annual century (100 mile) ride on a tandem bicycle raise money and awareness for Leukemia Lymphoma Society. They have 5 adult children and 13 grand-children who are all a complete joy. Joan’s signature themes are: Connectedness, Relator, Individualization, Learner, and Strategic, a perfect combination for a Strengths coach. Joan's DISC profile is a high DI and Driving Forces are Intellectual and Resourceful. Remember that transformation begins with relationships.... when do you want to begin! Joan has a passion to serve people by helping narrow the gap of misunderstanding. When there is an increase of self-awareness there is a greater capacity to understand others and decrease conflict while increasing communication. Awareness and skill development are keystones of the coaching relationship.